"Driving a story always kills it." "Yes, I have faith in my process, but I also know that it could fail me at any time." 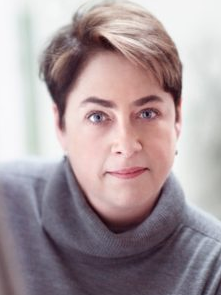 Louise Marburg chats with Mary Volmer about patience, process, and the short story form. Louise Marburg grew up in Baltimore, Maryland and studied graphic design at the Kansas City Art Institute. She later finished her college degree at New York University’s Gallatin Division of Individualized study. 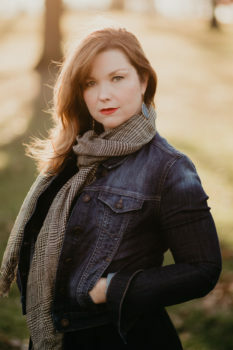 After several years working as a graphic designer and art director in New York City, she walked away to pursue writing at Columbia University and has since published widely in magazines and journals such as Narrative, Ploughshares and the The Pinch. 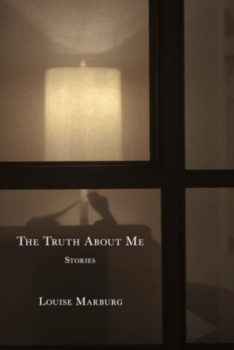 Her first collection, The Truth About Me (WTAW Press, 2017) has been a finalist for a number of awards, including the Saroyan Prize for International Writing, and it won an 2018 Independent Book Publishing Award for the Short Story. In The Truth About Me, Marburg presents everyday tragedies with irony and a delightfully macabre humor that never sinks to cynicism. She offers up raw and irrational facts of human experience with empathy and grace. Some of her characters are, to steal Garcia Lorca’s phrase, “drawn to the edge of things,” while others are stranded there, on the edge of love, death, sanity and dependence. We meet recent divorces, loveable misanthropes, and hapless college grads. We meet characters with mental illness or chemical dependencies, who are desperate to live “ordinary” lives, even as Marburg offers us cause to question the sanity of the ordinary. “Anything Can Happen,” for example, recounts an all too common American tragedy. The narrator, a grandmother, delivers the story with the same striking emotional remove with which the violence is committed. The effect is devastating, as are so many of the stories in this book, which balances tone and subject matter with masterful subtly. Louise and I met, by happy accident, at the Squaw Valley Community of Writers years ago. I’m grateful that she took the time to speak and email back and forth about her work. Mary Volmer: When did you decide you wanted to become a writer? Louise Marbug: I was always a voracious reader of fiction, specifically literary fiction. When I was about 28, I realized I wanted to become, or at least try to become, a writer. I was an art director at a magazine at the time, and wasn’t as interested in the progress of that career as I was in the idea of writing. I took a couple of writing classes at the New School in New York, then applied to Columbia University’s MFA program in Fiction. The stork brings them, silly. No, my ideas come from basically anything, usually a single thing, a visual, a snippet of conversation, a memory, a person I meet—like that. Then the idea develops—quite slowly at first. I spend more time on the first scene, practically, than I do on the rest of the story because I am trying to get to know the characters and understand what I’ve set up, because usually I don’t know, I have unconsciously created a dynamic that I have to understand before I can go on with it. I do a lot of rereading and rewriting. The first scene takes forever to write. Then into the second scene it continues to develop, and new ideas for what’s to come next happen along the way. The ideas come to me, but that doesn’t necessarily mean I use them, because in the moment a story will take on its own life, and ideas I thought were great don’t make any sense anymore. But I usually know halfway in what I’m gunning for and muddle my way toward that. Again, I might not actually make it to what I think I want to happen, something else may happen, but by that time I know my characters well. My stories are entirely character-driven, in case that’s not obvious. I am usually surprised when a story reaches its natural end—I always think I’ll write more, but then no, it ends. So there’s an element of faith in your process? Faith in the way that you have faith that you’re not going to crash when you board an airplane. Yes, I have faith in my process, but I also know that it could fail me at any time. I take nothing for granted, and am eternally grateful that I have the time and ability to write at all. In your essay in CRAFT, “I Love The Bad Ones Best,” you counter the mandate that characters must be likable. People who make good decisions, think good thoughts, always brush their teeth, are simply not very interesting or believable. Who are the best “bad” characters you’ve come across? I’m thinking of Olive Kitteridge. She’s not immediately admirable, but so human! I didn’t think of Olive Kitteridge when I wrote that essay, but she is a great example. She is very unlikeable, but Elizabeth Strout imbues her with an irresistible humanity; we almost, but not entirely, understand her, I think, because we have occasionally felt like her. Do you ever mine content for your stories out of your own life experience? I never mine anything exactly. I might use someone I’ve met as a character or somewhere I’ve been as a setting, or something I’ve heard as dialogue, but it’s all put together in pieces with content that is entirely made up. For instance, I do not know anyone like the characters in “Wildebeest,” but I have been to Tanzania and so the setting is from my memory. The odd swimming pool in that story is in fact a version of a swimming pool built on top of rocks that I swam in and was fascinated by. But the story isn’t about Africa or the Wildebeests, of course. Lord knows what dark place in my mind those very unsympathetic characters came from! And in the case of that story, because the characters were strangers to me, it took me quite a while to get to know them and let them loose to do their thing, but I’m glad I took the time and was patient with it because I felt like it unfurled very naturally from beginning to end. As you know, no matter how serious my stories may be, I always inject humor, so anything completely unfunny is out of the question. I would not, for instance, write about current politics, or terrorists, or poverty . . . You know what I mean. My stories are character-driven and quite diverse, I think; I am interested in a wide variety of human behaviors. You say that, but the characters in your stories suffer the effect of terrorist acts, and mental illness, and divorce and all of these have political implications . . . If they do have political implications, I’m unaware of it as I write. I’m struck by moments of realistic absurdity in the stories. Here are real to life, flawed people enduring absurd experiences, some funny, but some quite tragic. The narrator of “Anything Can Happen” relates the horror of the story with a banal workman like tone that never wavers. The effect is chilling. That’s half the puzzle, recognizing what works and not screwing it up. That voice was not consciously planned. It just came to me and I went with it. You recognized that it worked? Yes. That’s half the puzzle, recognizing what works and not screwing it up. Have you ever screwed up a promising story in revision? No. I write plenty of crappy stories, which I throw out. But if I’m patient with a story, I know the characters well enough to resist driving the story. Driving a story always kills it. You wrote a story a month for three years before curating and collecting the twelve in The Truth about Me. How did you decide what stories to include and which ones to leave out of this collection? I would constantly switch out stories for new stories I felt were stronger. I associate the word “curate” with visual art, as in a museum curator, or a curator of a group show, but now the word has become the current alternative to the word “choose.” I would prefer to say that I chose my strongest stories for the collection, and ended up with twelve I felt really solid about. Do you prefer the short story form? If I could write a good novel, I would, but I am not a novelist. I have always loved reading short stories, and I think I like to write them because they are short—I get to spend a limited amount of time with some very interesting people, then spend time in the next story with a completely different set of people. A novel takes years and the characters, at least the main ones, stay with you all that time. I’ve written novels, failed ones, and I think they failed because writing them bored me to death. What are some of your favorite collections or single stories? “Wigtime” by Alice Munro; “Goodbye My Brother” by John Cheever; “The Old Forest” by Peter Taylor. And countless others. I read a lot of stories; it’s hard to choose. Why do you think reading stories is necessary? Why not just watch TV? Does reading make different demands on us? Yes! You have to use your imagination and enter into a life outside your own. You can stay at a safe distance as a watcher, you don’t have to stretch your mind, or understand the emotions you see on the screen. Reading demands a deeper engagement. You watch a show and you don’t have to imagine anything, it’s all there. Reading demands a greater degree of empathy and it’s fun. It’s fun to read. If you could do anything else, what would you do?